Yes, the holidays are almost here and the sweet smell of cinnamon buns is one of the things we love about the holidays, the fresh smell of baked cookies, or the warm smell of fresh out of the oven cinnamon rolls with delicious icing on top. Most of my favorite baking sweets are made with cinnamon. But not everything I like from cinnamon is eatable. This lens is for all those yummy cinnamon buns or rolls recipe, gifts and more. 1. 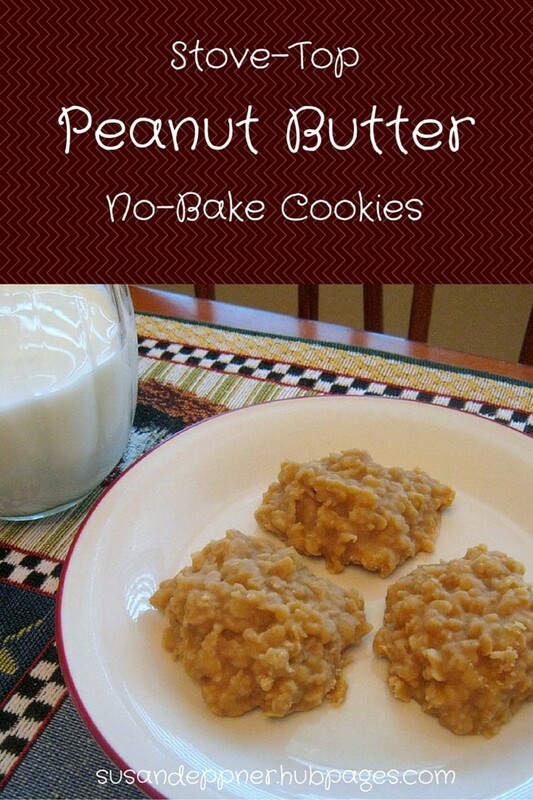 In saucepan, heat 1 cup milk, water, and 1/4 cup butter until very warm (butter doesn't need to be completely melted). Place milk mixture, salt, flour, yeast, sugar, and eggs in the pan of the bread machine in the order suggested by the manufacturer. Select the Dough cycle. Press Start. 2. Once Dough cycle is complete, remove the dough from the bread machine. Punch down, and divide into 2 parts. On a floured surface, roll each part into a large rectangle. Smear each rectangle with the softened butter. Combine the cinnamon and 3/4 cup sugar. Sprinkle over the rectangles. Generously sprinkle the raisins and/or chopped nuts over the top. 3. Roll the dough up into two logs starting at the long side. Cut each log into 12 slices. Place the rolls cut side down into two 9x13 inch greased baking pans. Cover, and let rise in a warm place until almost doubled (about 30 minutes). 4. Bake in a preheated 375 degrees F (190 degrees C) oven for 20 to 25 minutes, or until golden. 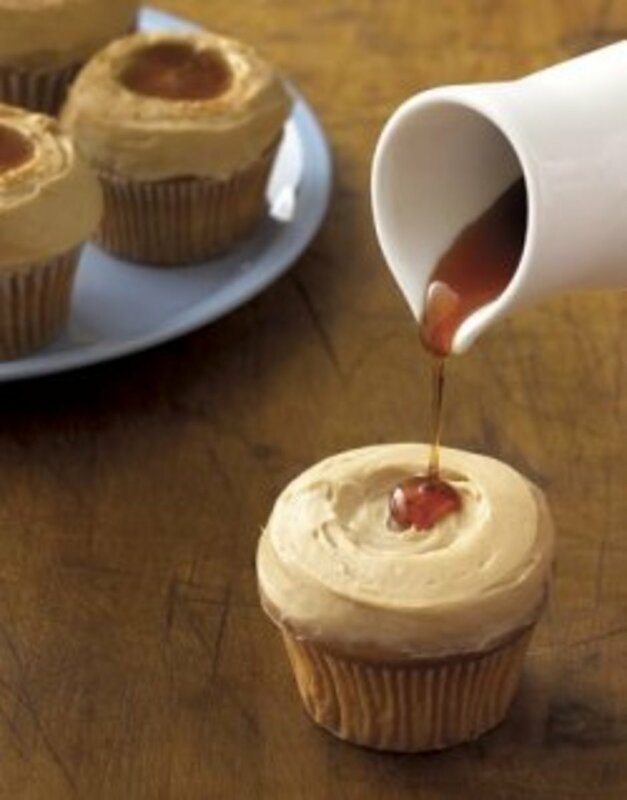 Combine the confectioners' sugar, 3 tablespoons melted butter, vanilla, and 3 tablespoons milk. Frosting should be thick. 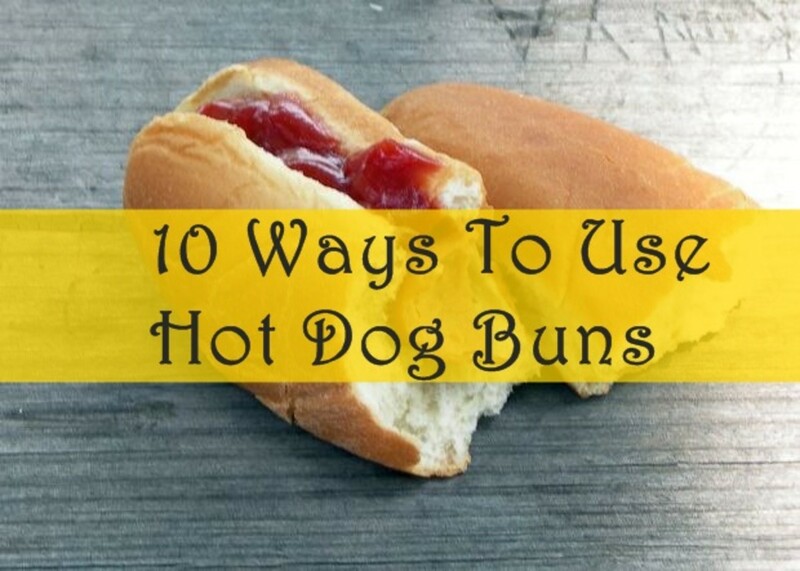 Spread over baked rolls and enjoy. 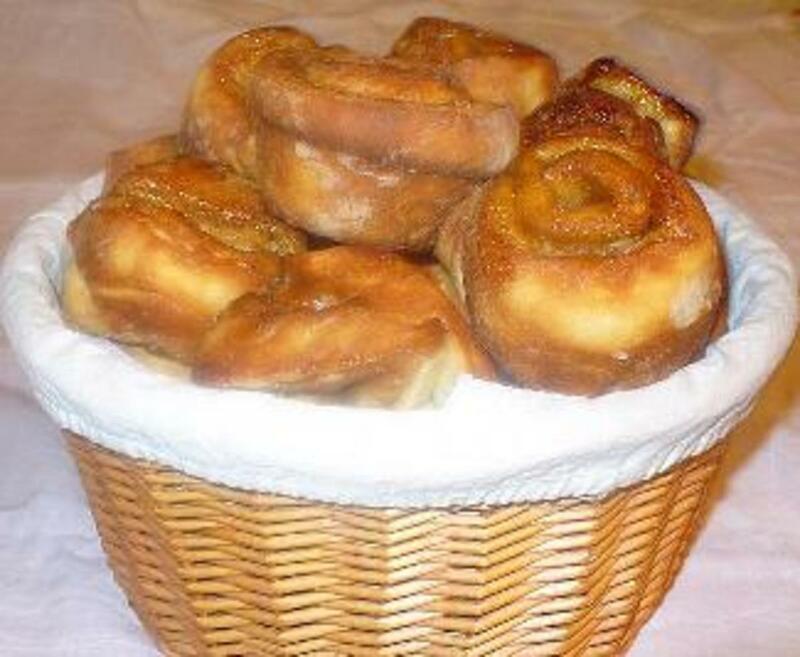 These delicious cinnamon buns made by Pillsbury are made with real cinnamon and a rich aroma. Perfect for the holiday season. Get Your Cinnamon Rolls Deliver At Your Door! 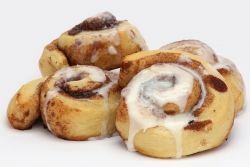 - Fresh out of the oven Cinnamon Buns deliver right at your door! 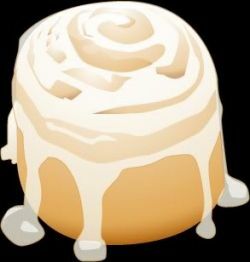 Cinnamon is a bakery founded in Seattle in 1985 at a mall. Now Cinnamon is very famous with more than 600 bakeries world wide. Mix the Makara Cinnamon and the sugar, and store it in a resealable plastic or paper bag. This mixture makes enough for several batches of Toasties. At snack time, toast the bread. Remove from the toaster and butter both sides. Place one slice on top of the other and, using a sharp knife, cut the toast into 1" squares. Now put the squares directly into the plastic bag containing the Makara Cinnamon sugar mixture. Close the top, and shake the bag up and down to be sure all the Toasties are covered. 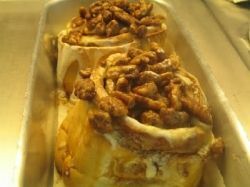 These warm dough are covered with Makara Cinnamon and top with pecans and rich caramel. These Cinnabon Stixs are made with delicious dough covered with sugar and Makara Cinnamon, perfect for dipping with cream cheese frosting. Ice drinks with different blends, you can choose between chocolate and coffee or caramel and coffee. Either way is delicious. Another frozen drink with many types of flavors. Have the warm delicious aroma of out of the oven cinnamon buns right in your home of office with one of the cinnamon buns candles. Yummy, they smell so rich and delicious. Introducing the new soaps, bakery soaps. Rich and creamy soaps with the great and warm scent of cinnamon rolls. Another Delicious Cinnamon Roll Soaps. Are You A Cinnamon Bun Fan? I need to get my Mom's cinnamon roll recipe. These look very good! That looks like the beginning of an enormous cinnamon roll up there! I've never made cinnamon rolls from scratch but I think it's time to try. Ooh, lots of cinnamon and a pound of walnuts and a bucket of raisins. Yum yum! My mouth started watering for a fresh cinnamon buns the minute I started looking at your lens. Sweet Angel blessings for you! I love cinnamon buns and Cinnabon! There is something about the smell of fresh cinnamon buns out of the oven that can't be beat. It has been too long since I made cinnamon rolls. I can almost smell them. Yummy lens! I love cinnamon rolls and cinnamon anything. Now I've even learned that real cinnamon is helpful in lowering cholesterol, so I put a lot of it in my oatmeal in the morning. I'm a sucker for cinnamon rolls. Whenever we go to our favorite coffeeshop, I have to get one if there are any left. Trouble is, if I made them at home (and was successful, which is always questionable), I'd end up eating them all at once. These looks SO good! I make them every year for Christmas breakfast. I put chopped pecans and caramel sauce on mine. Yummy! Sure am! And 5 stars for this lens. Great coverage of the topic. I should never have read this lens. I'm dribbling on my keyboard! Lovely lens. Wonderful lens. We're going to keep some of these recipes for company. Thank-you for them. I love the smell of cinnamon. Welcome to Culinary Favorites From A to Z.
Oooohh, these look wonderful! I made some cinnamon rolls for New Year's Day and my kids wanted to know why we don't have them every day! Well, TWO HOURS to make them, whaddaya think? But what a splendid treat, real homemade rolls! 5* and a rumbling tummy! These look like something that we'd like to back at our house. Lots of cinnamon roll lovers here. Welcome to the Comfort Food Group.